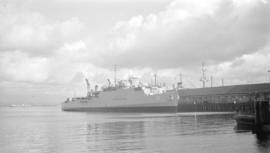 Special Service Squadron. 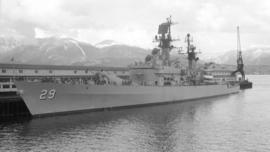 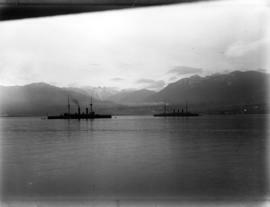 British Navy at Vancouver, Canada. 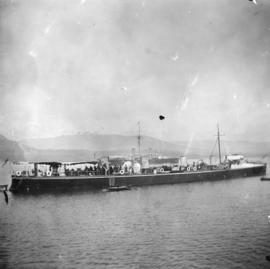 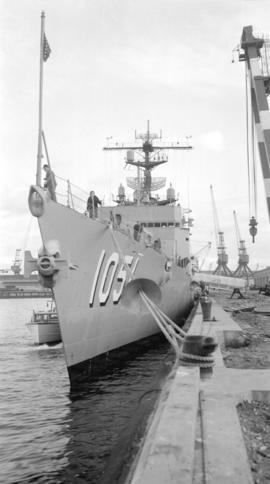 H.M.S. 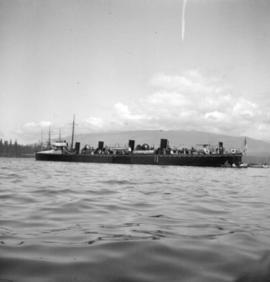 Repulse entering Vancouver Harbour. 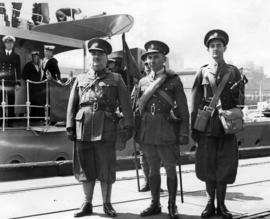 June 25th 1924. 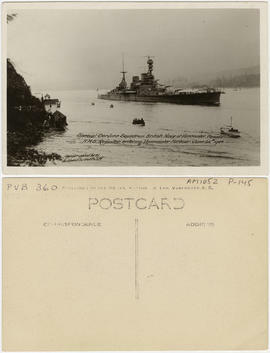 Item is a postcard printed with an image of the H.M.S. 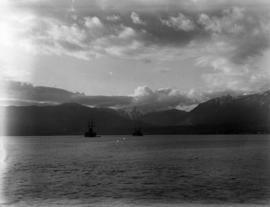 Repulse in Burrard Inlet, passing by Stanley Park. 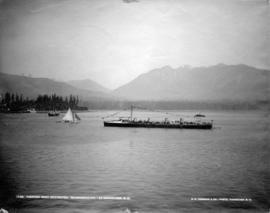 Cottages are visible on the edge of the park by the water. 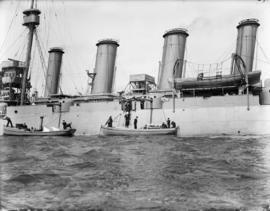 Item is a group photograph of three officers posing on dockside with a warship and other soldiers in the background. 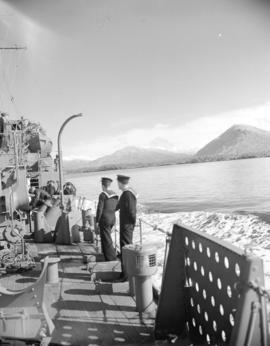 Sherwood Lett is visible centre. 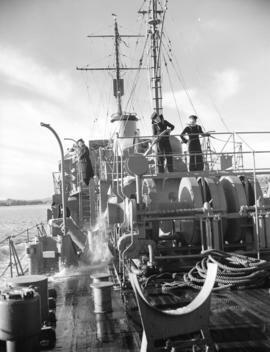 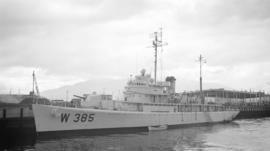 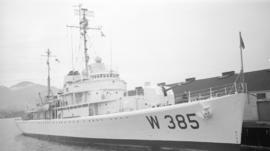 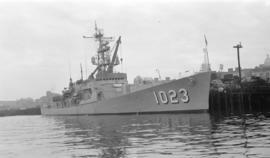 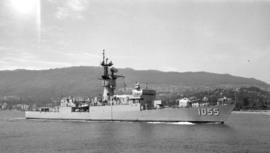 Torpedo Boat Destroyer "Sparrowhawk" at Vancouver, B.C. 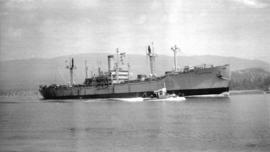 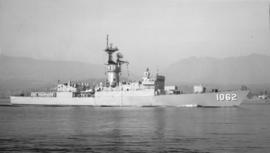 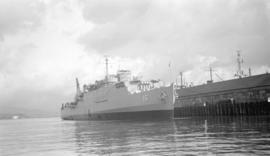 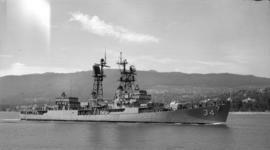 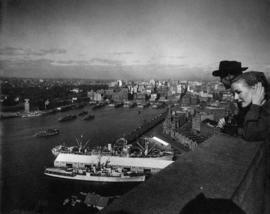 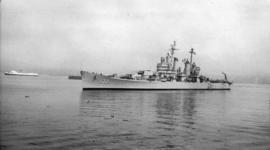 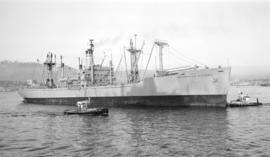 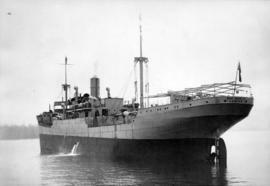 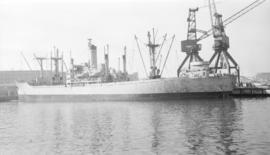 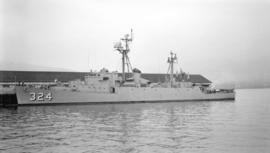 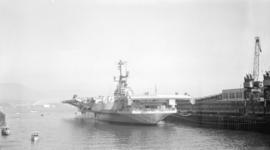 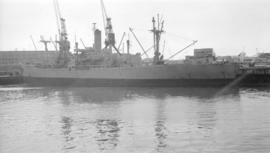 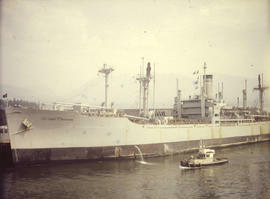 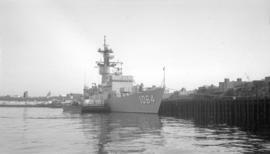 Item is a photograph of the USNS Private Sadao S. Munemori, a US naval transport vessel, docked in Vancouver Harbour. 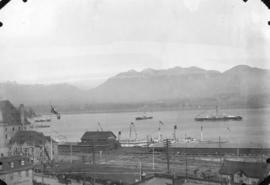 There is a tugboat in the foreground.